If you were riding a dirt bike, the reasons to wear goggles are pretty obvious. You can get into some dust, things can get thrown up and into your vision, like dirt, sticks, rocks, etc. Most of us who ride bikes would never think about riding seriously without good eye protection. 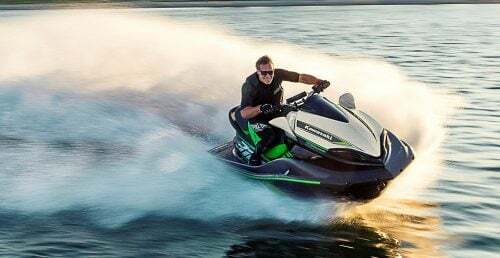 But what about when you’re on your personal watercraft? 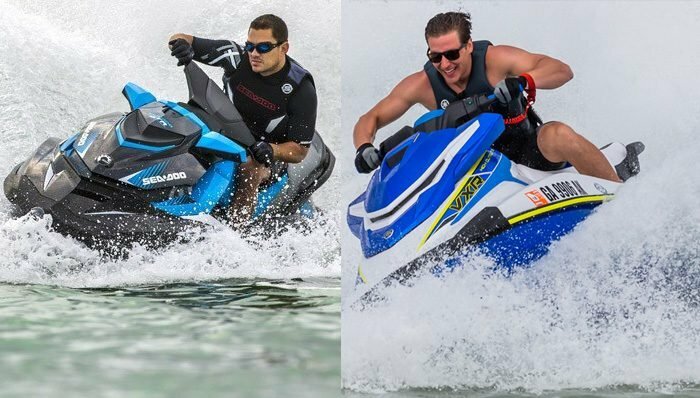 You have to deal with wind, water and sun when you’re riding your PWC. Below we talk about some of our favorite PWC goggles and what features you should be looking for. PWC goggles have a lot in common with downhill skiing goggles in that they are designed to be worn with or without a helmet, often have tinted lenses that filter sunlight, and they form fit to your face. The NFX Jet Ski Goggle from Dragon Alliance are multi-purpose personal watercraft goggles with 100% UV protection and Dragon’s super anti-fog coating on the lens. Like you’d expect in a goggle, there is a flexible frame and multi-density foam that seals the goggles to your face. A wide, adjustable elastic strap has silicon beads to keep the goggle firmly on your head or helmet. 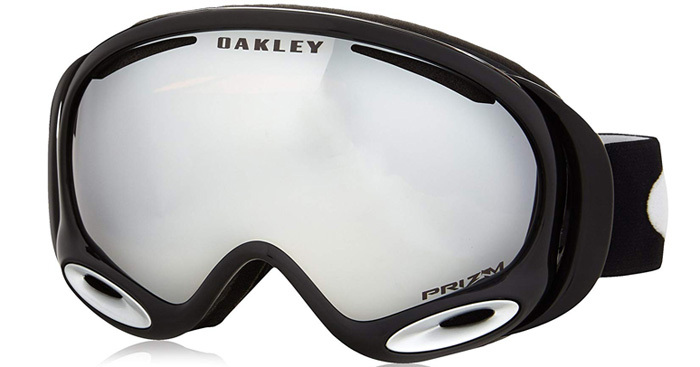 This pair of Oakley goggles represents another take on a multi-purpose goggle. These bad boys come with the Oakley Prizm lens, which gives you amazing clarity under any light condition you’d be operating your PWC in. Optical clarity is something you need to take into consideration when looking at PWC goggles, as you need to be able to distinguish objects in the water before you hit them. With these goggles, you get the quality you’d expect from an Oakley product with quality components and materials. The Jettribe Pro Black are similar to more traditional PWC goggles. The basic shape is a pair of high-quality sunglasses with an elastic strap to keep them firmly planted on your face, though there is a little more to it than that. One of the issues with sunglasses and PWC is wind. The faster you go, the more wind can get under the lenses and pull them off your face. The shape of these goggles helps push them against your face as you rip across the water. The lenses have a REVO coating for excellent light filtering and vision contrast. 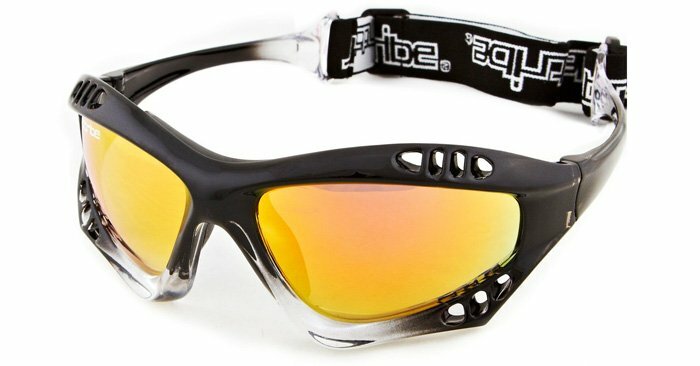 Another variation of the theme of sunglasses melded with PWC goggles is the Classic from Jettribe. 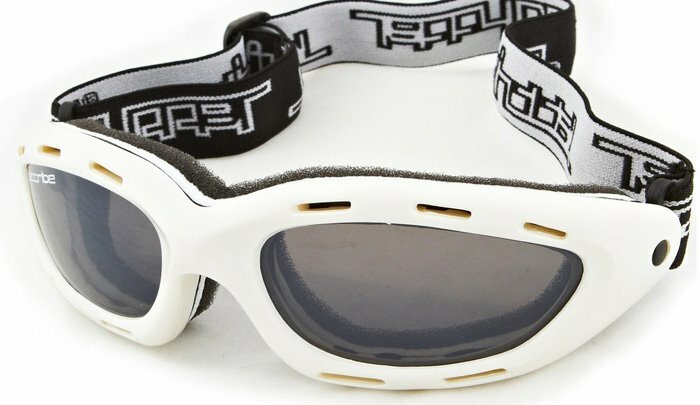 These floating goggles have a traditional sunglasses look mixed with face foam to keep wind from your eyes and an elastic strap without ear stems. The foam is a key thing here, especially if you wear contacts, or have sensitive eyes. Even moderate wind across your eye results in watering which can blur your vision, or if you wear contacts, can even cause the contact to dislodge. None of that is anything you want to deal with at speed across the water. These Spex Amphibian PWC goggles have polarized lenses designed to cut through the glare of sunlight off water to give you better vision, especially of what’s under the water. 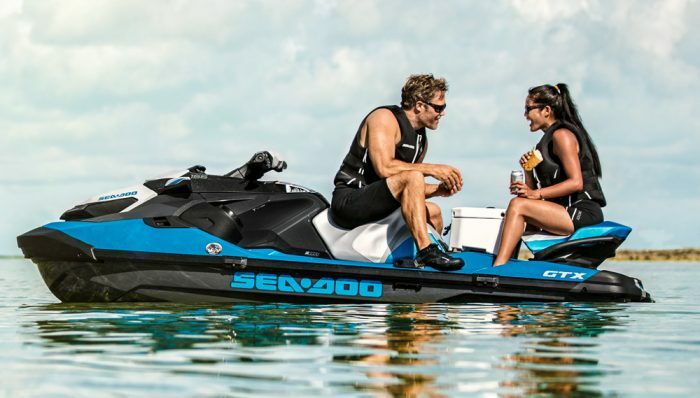 If you’re riding your PWC around areas where there could be submerged hazards, that’s a big plus. The Spex also are constructed to be fog resistant. When you’re on the water, temperature changes can happen rapidly, which can fog up your lenses. Maintaining clear vision is a must, so you want goggles with some form of anti-fog construction. 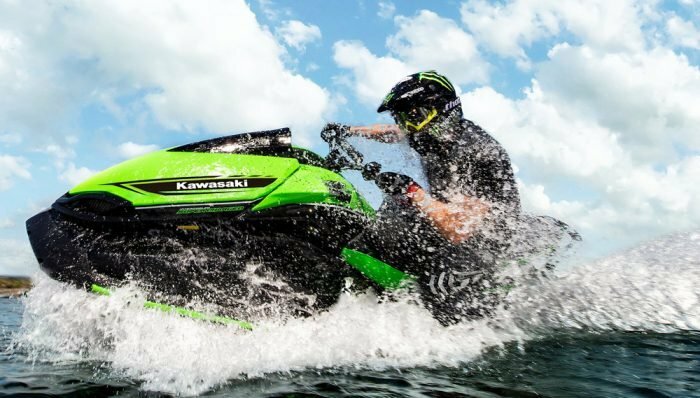 Do I really need goggles when I’m riding a PWC? 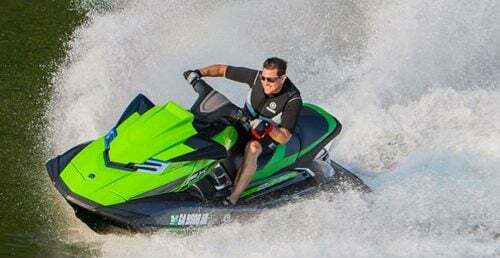 Yes, you really do need something to protect your vision and provide you with a clear field of view when riding a PWC. Accidents are something no one wants. 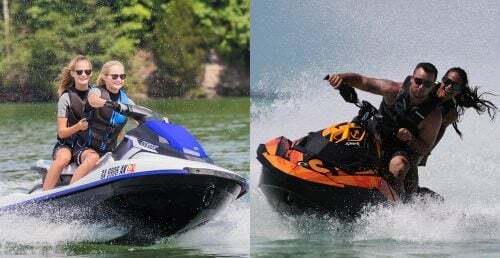 We hear every year about someone having a terrible accident on a PWC. 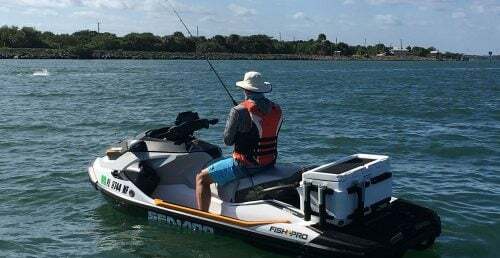 You can help avoid them by taking the steps needed to have a safe time on the water. 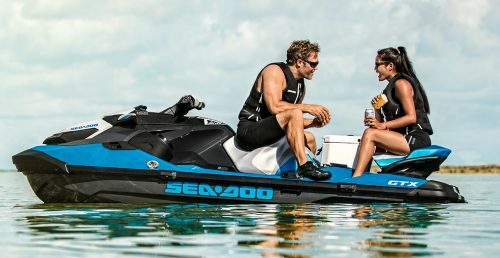 Are sunglasses good enough to use while riding my PWC? Sunglasses really don’t work well for eye protection while on a PWC for the simple fact that they can fall off. As you go faster, the wind can catch the glasses and start to pull them off your face. Your instinct is to grab them and that both distracts you and takes your hand off the bars.